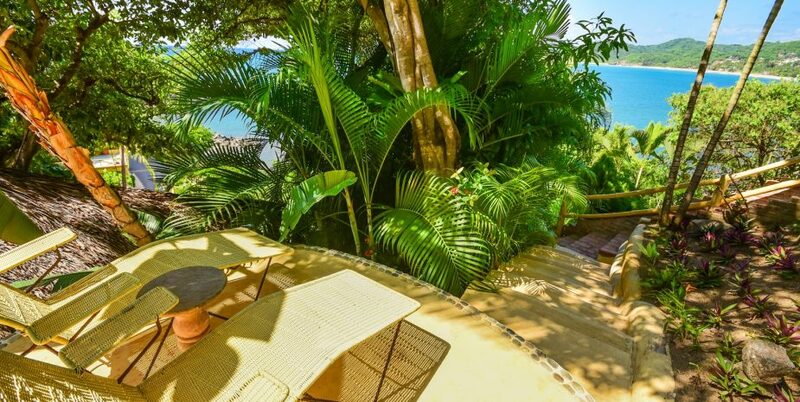 Villa Vista Azul at Amor Boutique Hotel in Sayulita is a charming, air-conditioned, 1 bedroom. The oversized terrace overlooks the gorgeous blue Pacific ocean while tropical foliage of lush palm trees and torch ginger engulf you in privacy. This beautifully-decorated Mexican villa offers a king bed, dining table for two and additional seating on the large ocean view balcony. Panga fishing and surf charters pick up our guests right in front of our resort. You won’t need to take a taxi or rent a car. It’s super convenient and has become a big reason why surfers and fishermen love Amor Boutique Resort. 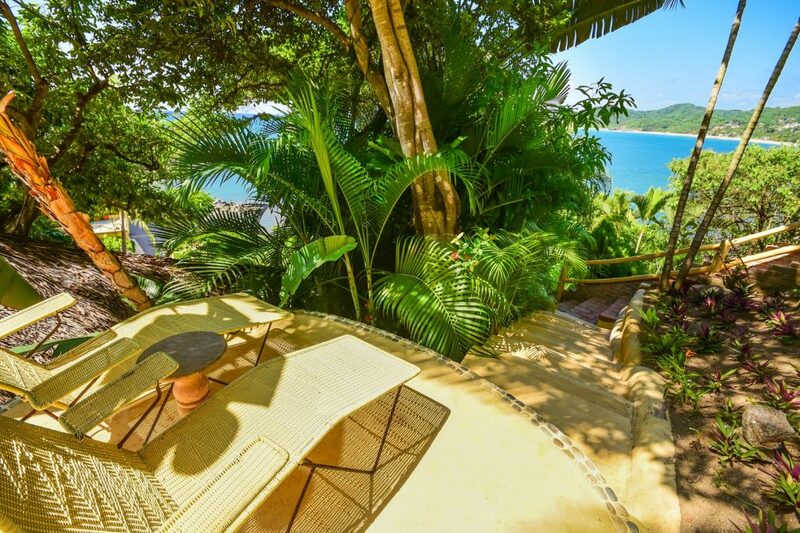 You won’t be disappointed in this ocean view Sayulita vacation rental!